I love, love, loved this book!!!!!! It was clean, and wonderful from beginning to the end. I will try very hard not to give too much away, but I honestly loved this book, so I want to talk about each of the characters that I enjoyed. Isabella Kincraig- The woman amazes me. She goes through so much in her life to keep her daughter safe. She is strong, and beautiful. She is willing to do whatever it takes to keep her family safe. LOVED her! Chantaya Kincraig - Isabella's daughter. She is by far my favorite character. This girl is A MAY ZING! She goes through a lot in her little life at the very beginning you cannot help but love her. What I love most about her is that she is strong through the WHOLE book. She never backs down from what she believes in and always fights for what is right. A heroine that never wimps out. I LOVED her! Peyton Wolfgar - He is a beautiful human being. He is kind, loving, caring, and a protector. He is another character that is great from beginning to the end. The sweetest boy, and then the sweetest man. He is what every girl should strive to find in a man. His love for Chani is so great. It made me cry a few times. I LOVED him!!!!! The rest of the Wolfgar Family - such great people. They took a woman and her child in with only the intention of helping and bringing them back to heath. A compassionate and caring family. Strong and had lots of love for every one. Prince Laird & King Dougal - Good, honorable men who wanted the best for their kingdom. They treated everyone with respect, and held those who fought for their kingdom in high esteem. I loved that the King and the Prince listened to others information and didn't just make decisions based on what they wanted. They always did what was best for the whole. Conrad - I just love him. He watched over Isabella and Chani when Peyton couldn't and was just an all around good guy. Sweet, caring, watchful, and protective. Okay, now for the ones I didn't like, but really did make good "love to hate" characters! Lord Rosskeene - I didn't like him from the moment he entered the book. I knew that he was going to be a horrible man. A nobleman who thought the world owed him everything. He thought he could take whatever he wanted without any consequence. He made me so angry even when his name was mentioned in this book. Damian - Lord Rosskeene's son - was just like his wretched father. A horrible human being. He never had a good example to follow, but a horrible human being just the same. Hawkes writing is beautiful. I loved every moment reading this book. I hated having to put it down. I loved the romance, the struggle, and most of all I loved that Chani was a strong woman from beginning to end. The love story is just the sweetest thing. I LOVE a good love story. I have VERY few books that I add to my "want to read again" list, but this one has definitely made that list. I think I could read it over and over and not get sick of it. It just was such a good, CLEAN, book! Thanks Hawkes for your amazing writing and bringing such a sweet love story to life. Source: I was given this book as a tour host in return for an honest review. I was not compensated in anyway for this review and these are my own PERSONAL thoughts on the book. Blog Tour Giveaway $25 Amazon Gift Card or Paypal Cash Ends 2/23/14 Open only to those who can legally enter, receive and use an Amazon.com Gift Code or Paypal Cash. Winning Entry will be verified prior to prize being awarded. No purchase necessary. You must be 18 or older to enter or have your parent enter for you. The winner will be chosen by rafflecopter and announced here as well as emailed and will have 48 hours to respond or a new winner will be chosen. This giveaway is in no way associated with Facebook, Twitter, Rafflecopter or any other entity unless otherwise specified. The number of eligible entries received determines the odds of winning. Giveaway was organized by Kathy from I Am A Reader, Not A Writer and sponsored by the author. VOID WHERE PROHIBITED BY LAW. I don't quite know how to review this book. I think my emotions from reading are still kind of all over the place. It was kind of a tough book to read. It was good, but man, it was emotional. Victoria Jones spent her life being shoved from foster home to foster home, until she finally found one that she thought might actually stick. When she comes to meet Elizabeth, her new foster mom, she does all she can to get kicked out of her house and sent back to a group home. Victoria has decided she isn't really worthy of the love of another person. Elizabeth tries as hard as she can to love Victoria, and in time they come to care for each other. I really was rooting for Elizabeth, but she disappoints me. I think in her heart of hearts she really wanted to be a good mom, and to take the next step in adopting Victoria, but when she falls short, my respect for her dropped dramatically. When Victoria is finally 18 and kicked out of the group home, she ends up living in a park. She had been taught by her Foster mother Elizabeth the meaning of flowers, and the importance the meaning had when giving them to someone. She had become quite good at planting and growing her own little garden in her own makeshift home in the park. When she finds Renata, a flower shop owner and Renata sees Victoria's talent. They begin to work together. I honestly thought that Victoria would finally find some peace and move on with her life. Then walks in Grant. She is Elizabeth's nephew and they get to know each other again. It is such a sweet relationship but Victoria is horrible at relationships. When life and reality hit that Grant may love her she leaves, and retreats. As time moves on and Victoria realizes that she actually needs Grant in her life, she finds her way back to him. I thought it was such a sweet relationship, and I knew that Victoria would screw it up. When life gets hard she retreats, and that is something I just didn't like about her. She was obviously a damaged young woman, but I had high hopes for her. This book was such a roller coaster. Just when I think Victoria is going to be a responsible adult and move on and break the cycle of heartbreak she has lived with her whole life, she reverts back to her "flight" behavior. I don't know how to say much more without giving the ending away, but I really did not like her choices. I think that she didn't have the tools to accept the good things that were happening in her life, as well as the bad. She dealt much better with the bad, but I think only because that is all she had her whole life. The ending is touching, and gave me hope. I didn't like what it took for Victoria to find her way. I didn't like many of the choices she made. It showed me how different a persons life could be without the constant feeling of love around them. This book was hard to read for me. It was emotionally exhausting. It was truly a great book of how a person can overcome the worst of circumstances and find their place in the world, and possibly make up for all the wrong choices they have made. It's a great story of forgiveness, and love. Source: I borrowed this book from a friend. I was not compensated in anyway for this review, and these are my owner PERSONAL thoughts on the book. Cursed with a deadly touch, Pomona never thought she would leave the royal gardens of Norarchland, where she uses her magic over plant life to make the gardens flourish. But when she discovers a magic mirror beneath the roots of an apple tree, she learns a horrifying truth: the life of the beautiful Princess Nevea is in danger, and Pomona is the only one who can save her. Pomona flees with the princess into the dark forest, where she is taken in by the mysterious Selene Magna and her huntress companion, Callisto. They claim that the Tenebrari-short, magical beings responsible for Pomona's curse-are trying to conquer all of the kingdoms of Archland. Even more, Pomona is destined to play an important role in their defeat. 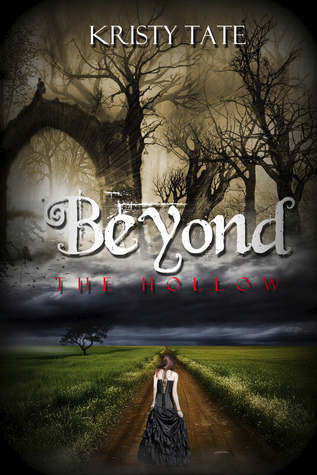 The cursed gardener must now embark on a journey far beyond her imagination to stop the Tenebrari, or else she and all those she cares about will be cursed forever. 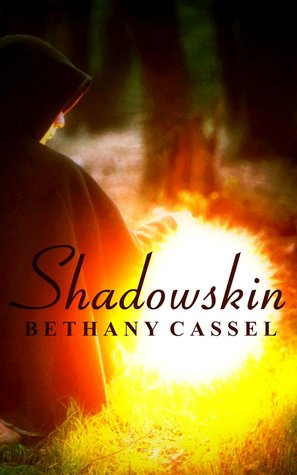 Bethany Cassel lives in a land surrounded by forests and cornfields, and she was lucky enough to grow up in the same house all her life. Falling asleep to the sound of waterfalls and seldom-disturbed quiet provided the perfect environment for her to develop her passion for writing. Inspired by the beautiful landscape around her, Bethany created Archland, a world with deep forests, rolling hills, and fierce winters, home to dozens of fairy tale characters. 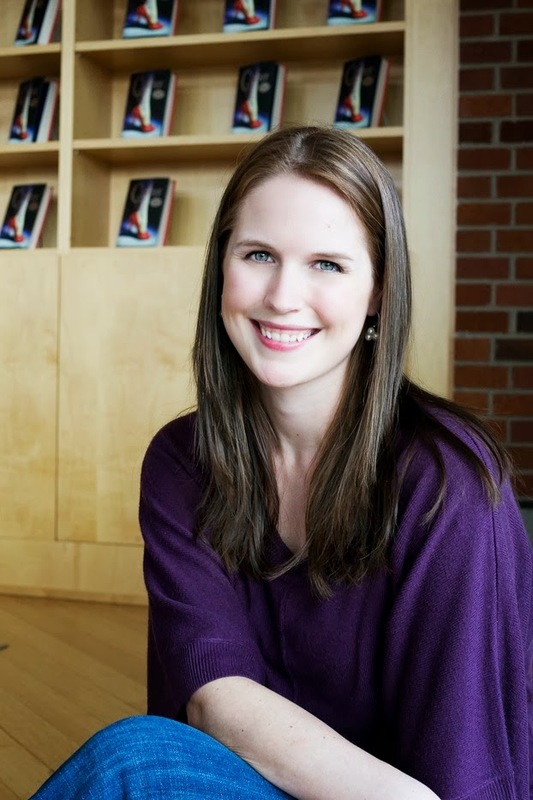 When she is not writing, Bethany is a voracious reader, known to finish the likes of "Seraphina" by Rachel Hartman in two sittings (it was a great book)! Her favorite writers are, in no particular order, Sir Thomas Malory, J.K. Rowling, John Keats, Victor Hugo, Kendare Blake, Jay Asher, Toni Morrison, and Marissa Meyer. This list is by no means complete. 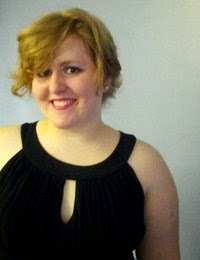 She is about to earn her Bachelor's of Arts in English from SUNY Geneseo and plans to continue her education in literature in graduate school. Besides all things literary, Bethany enjoys archery and bow hunting, drawing, playing piano, and volunteering with ministries in her community. She currently lives in Western New York with four dogs, twenty-ish chickens (she lost count), a lizard, and a couple of frogs. Petra Baron and her immortal boyfriend, Emory Ravenswood, are living their happily in modern day Orange County, California, until Dane shows up: a heart-stoppingly handsome man from Petra's past. Petra can't remember Dane, or anything else about her time in Tarrytown, New York two hundred years ago. But Emory does remember, and he knows she's lucky to have forgotten all about Dane and the nightmarish episode in 1810. After Emory disappears, Petra is determined to find him again. Yet she doesn’t know whether Dane can lead her to Emory, or to the nightmare she can’t remember. The one thing she does know is that once upon a time really means two hundred years ago, and that if she wants to find Emory the first place to look is Sleepy Hollow, 1810. With a collection of Washington Irving's writings in her hand, and a prayer that some nine-pin-playing ghosts will give her a drink of the same magic ale they gave Rip Van Winkle, Petra heads into another time-defying adventure. 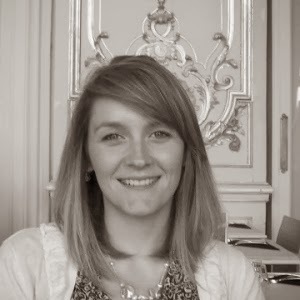 Kristy studied English literature at Brigham Young University and at BYU's International Center in London. Although a long time resident of Orange County California where she lives with her family, Kristy's heart belongs in her hometown of Arlington, Washington, AKA Rose Arbor--the fictional setting of her popular Rose Arbor series. For updates on Kristy's upcoming novels, please visit her blog at kristystories.blogspot.com and sign up for her newsletter, where discounts and freebies are sure to happen. 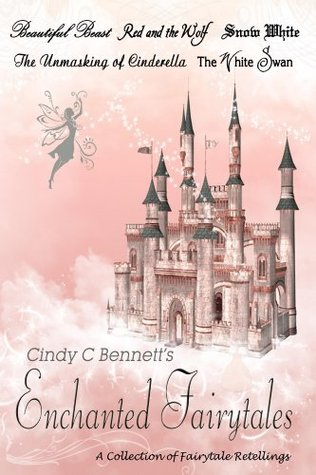 Enchanted Fairytales is a series of short stories based on beloved fairytales. The stories are written as if the fairytales never existed. are contemporary, some are paranormal, some have elements of fantasy or magic. Beautiful Beast: After a cruel prank, Calli is forced to move into “Monster House” to befriend the beast. Alex is determined to hate Calli, who he believes is there to get a peek at the beast. Calli must convince Alex that she isn’t there to harm him, and that her feelings for him are very real. Red and the Wolf: A sudden increase in the violence and frequency of wolf attacks in the forest surrounding Piera has all of the residents on edge. Ruby, contending with the news that Rafe has come home after leaving her three years earlier, and staving off the advances of his brother Lowell, doesn’t have time to deal with wolves - until she finds herself fighting against a wolf for her life. 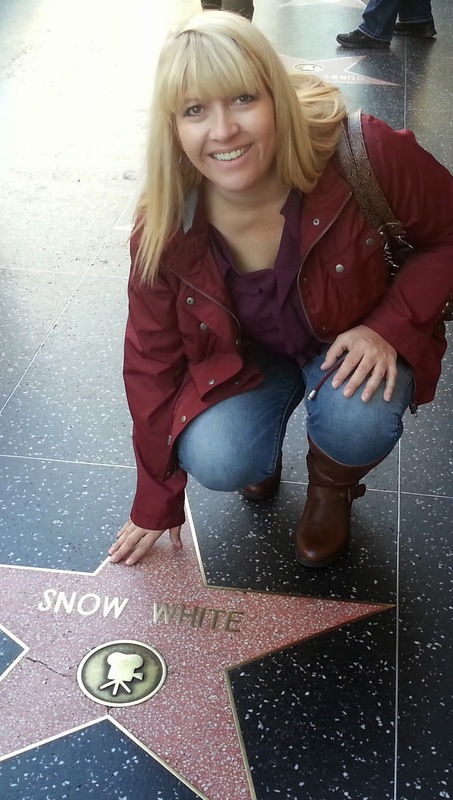 Snow White: Snow White, sent into the forest to be killed, escapes. 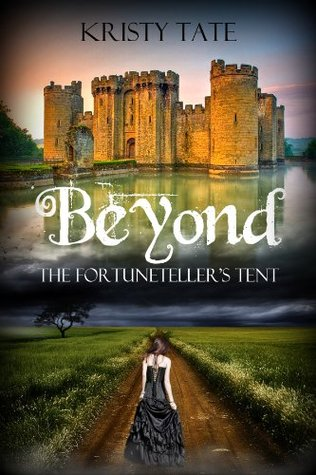 She stumbles upon a tiny, magical kingdom called Fableton, where time stands still for its trapped residents. Phillip, blinded centuries ago by a vengeful love, believes Snow is the key to breaking the curse and freeing them all. The Unmasking of Cinderella: Forced into servitude by her wicked stepmother, Amella longs for the simple freedoms her stepsister takes for granted. When she bumps into Char - literally - her world is suddenly turned upside down. Amella begins to believe that she can have a life she previously thought nothing more than a dream with Char by her side. The White Swan: Cursed to live as a swan by day by the jealous Benno von Rothbart, Odette desires nothing more than to tell Victor what’s happened, but can’t out of fear for what Benno might do to him. Victor discovers her secret and together they try to break the curse. But the cost of doing so might just be too much. 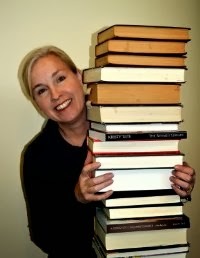 Cindy C Bennett is the YA author of several books. She lives in Utah with her two daughters. Both of her sons have married, giving her two more daughters (in-law). She loves gooey cookies, dark chocolate, and cheese popcorn. She hates housework and cooking, and has no plans to become a domestic goddess. She occasionally co-hosts a geek podcast with her son, called Geek Revolution Radio. Her favorite pastime—other than writing—is riding her Harley. 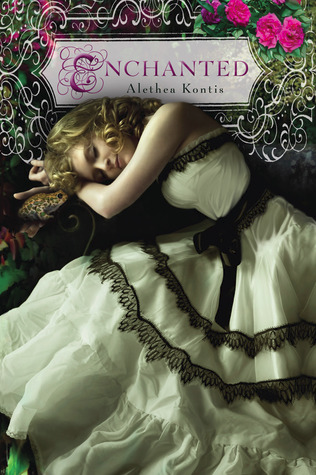 Alethea is the co-author of Sherrilyn Kenyon’s Dark-Hunter Companion, and penned the AlphaOops series of picture books. 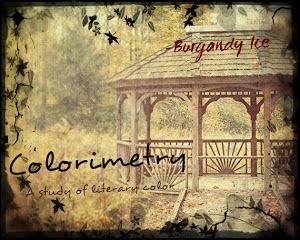 Her short fiction, essays, and poetry have appeared in a myriad of anthologies and magazines. She has done multiple collaborations with Eisner winning artist J.K. Lee, includingThe Wonderland Alphabet and Diary of a Mad Scientist Garden Gnome. 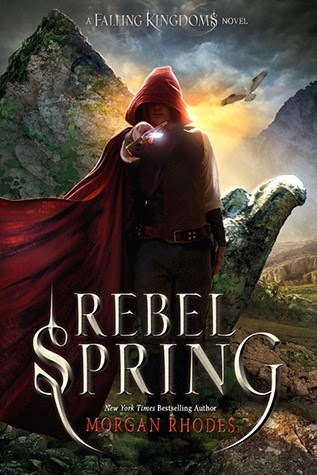 Her debut YA fairy tale novel, Enchanted, won the Gelett Burgess Children’s Book Award in 2012 and was nominated for both the Andre Norton Award and the Audie Award in 2013. Anonymous, nameless, Adelaide Schumacher should have been lost to history. Medieval girls do not make legends. If they are lucky to live long enough, they make babies. Adelaide’s mother, Katrina was the finest storyteller in Cologne, but she left one story untold, that of her daughter, Snow White. A rampant fever claimed Adelaide’s mother just like a thousand others in Cologne where the dead are dumped in a vast pit outside the city walls. In an effort to save Katrina’s soul, Adelaide’s family obtains a secret funeral by bribing the parish priest, Father Soren. Soren commits an unforgivable atrocity, pushing Adelaide toward vengeance, but the corruption in Cologne reaches far beyond Soren, and the cost of settling scores quickly escalates. Avenging the mother she lost may cost Adelaide everything she has left: her father, her friends, her first love, and maybe even her life. The Fairytale Keeper casts the famous villains, heroes, and damsels of Grimm’s fairytales into Medieval lives. Seamlessly weaving historical events and Grimm’s fairytales into a tale of corruption and devotion, The Fairytale Keeper, leaves the reader wondering where fact ends, and fiction begins. 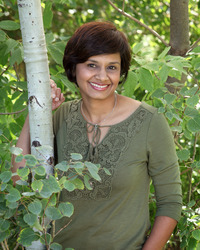 Andrea Cefalo is the award-winning author of The Fairytale Keeper series. The Fairytale Keeper series is a Medieval tale of corruption, devotion, and the origins of Grimm’s fairytales. It was a quarter-finalist in Amazon’s 2013 Breakthrough Novel Contest and has been recommended by Riffle, Copperfield Review, and other various independent reviewers. The second novel in the series, The Fairest of All, will debut in 2014. 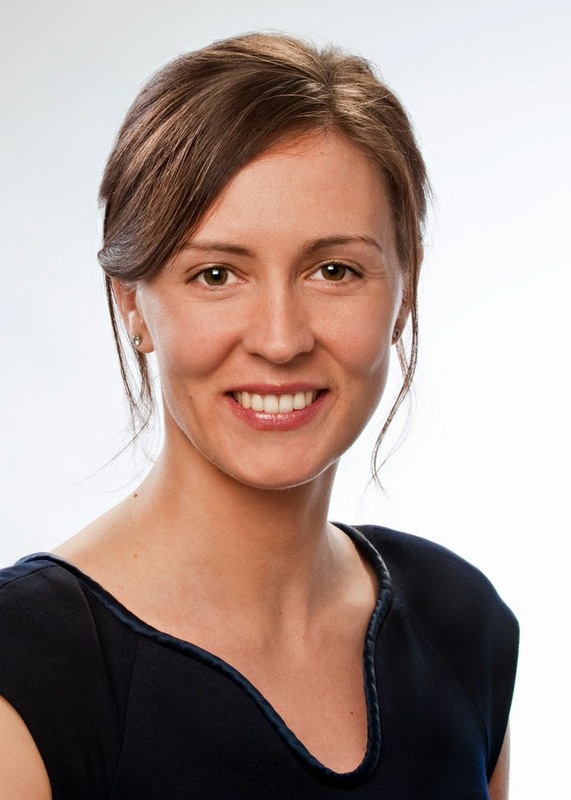 When Andrea isn’t writing, she enjoys blogging and tweeting about the Middle Ages, teaching authors how to effectively use social media, and presenting in schools. She resides in Greenville, South Carolina with her husband and their two border collies. There are FIVE chances to WIN!! Winners will be drawn randomly, entries will be validated and the IP Addresses checked for shipping qualifications to award winnings in order of preference, if indicated. See Rafflecopter entry. Additional restrictions on Rafflecopter apply. 1. 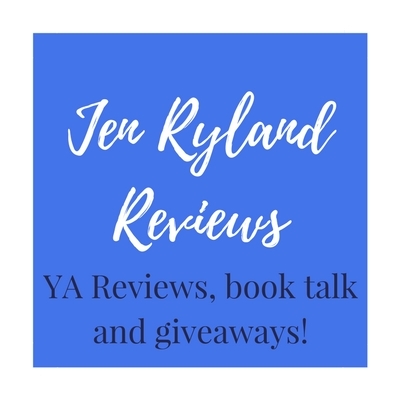 CINDER (LUNAR CHRONICLES) by Marissa Meyer - Review Here - this may go down as one of my favorite series! 4. 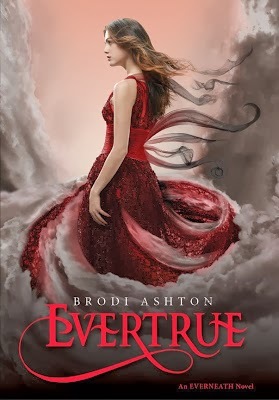 EVERTRUE (EVERNEATH #3) by Brodi Ashton - Review Here - such a fantastic series! I got more done than I thought I would. This was fun to participate in. The book that they were reading for January as a discussion book was Daughter of Smoke and Bones. I didn't participate in reading because I read it a long time ago, but it was fun to be part of the discussion, even if it was just on line. It is so fun to see what other people thought about the book. 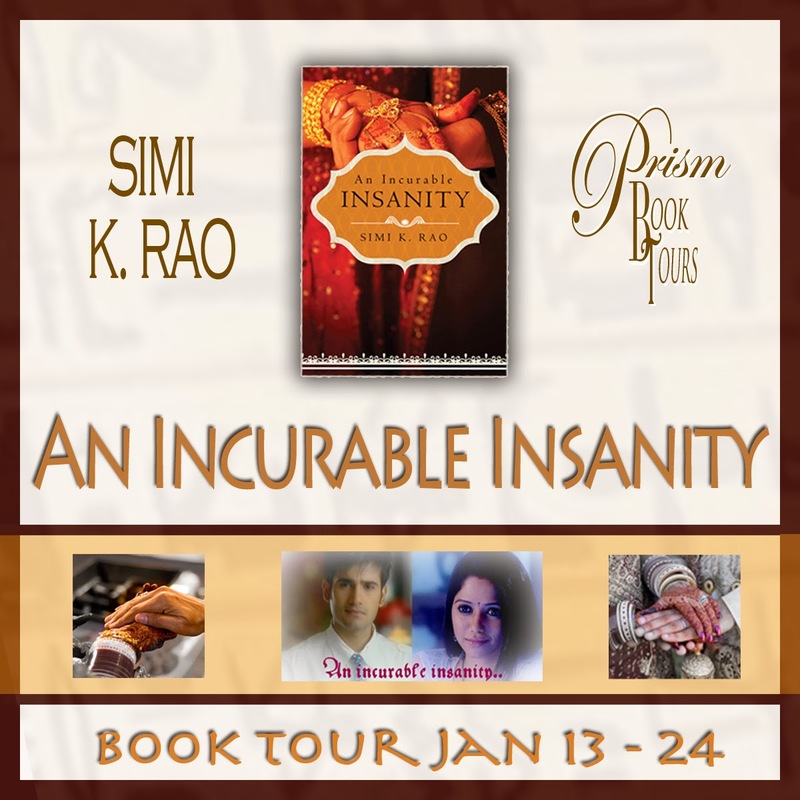 An Incurable Insanity by Simi K Rao! We offer flowers in traditional welcome. You saw The Exotic Tour... you got a taste for the beautiful culture and the romantic attraction of our spunky young characters... now we've reviewed it and have shared the Prologue and first four chapters with you. Did you miss any of them? Read them now! "Her heart fluttered when she heard the sound of the key turn in the lock. She quickly adjusted her maroon silk sari with the yellow border, the one that had caught his eye, and waited eagerly for his footsteps..."
"I wasn't impressed with Shaan at the beginning. We find out why he married Ruhi, which didn't paint him in the best light, either, but he shows a lot of growth and maturity as time goes on and redeemed himself to me in the end. There were some crazy, dramatic parts and also some calm, tender moments. I look forward to reading more of Ms. Rao's books in the future!" 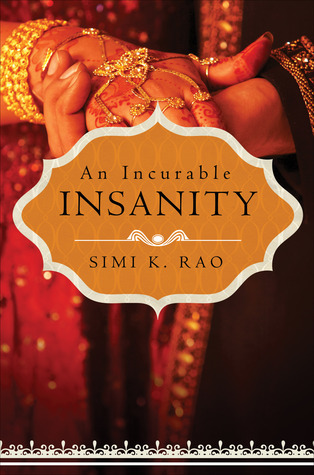 "Ruhi closed her eyes; she could now repeat every movement, every word by rote. He was a creature of habit…and she was bored. What was supposed to be the most exciting time in every young woman’s life had turned out to be the worst…Well, not really. He wasn’t mean. rather he was the perfect gentleman, too perfect!..." "This really is a sweet love story. I found it very hard to put down. I love reading about different traditions and cultures, even if it's fiction. I love how each MC talk to themselves in their head. We always make things out to be worse than they really are in our minds, and this book made me chuckle sometimes because there is a lot of "in head" struggle, fighting, and talking. Silly things that make you want to find out if they are every going to get the nerve up to say to each other!" "It goes without saying that the youngest Ahuja was by no means lacking in looks. He was unusually handsome, of good build, and above average height who liked to maintain an athletic physique with regular exercise. But despite being inundated with innumerable suitable matches, each willing to part with unbelievable amounts in dowry, he had steadfastly declined. In fact, he had even refused to pay a visit to his hometown until now. His hand finally being forced by the news of his dadaji’s terminal illness, whose final wish was to see his youngest grandson married and settled in life..."
"This was a great look into the life of married couples in India. It was a nice romance story that the author really showed the readers about India and all its customs." "This book is a must-read for anyone interested in Indian culture!! It's a thousand times better than any text book on the subject and should be a required compainion. Lol. It's similar to being immersed in the culture. 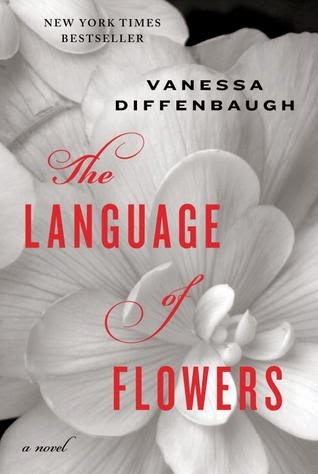 It's also a must-read for romance lovers and everyone looking for something unique. And exotic." “Son? Is it okay if I call you beta?” his father-in-law asked him; he had kind eyes. Shaan looked over to his wife (what an odd-sounding word), and she mouthed a silent, “Please.” Then she smiled, her eyelashes drifting down in shy discomposure, carrying on as though this was one of the happiest days of her life..."
"He has agreed! Oh, Mama, he has agreed! 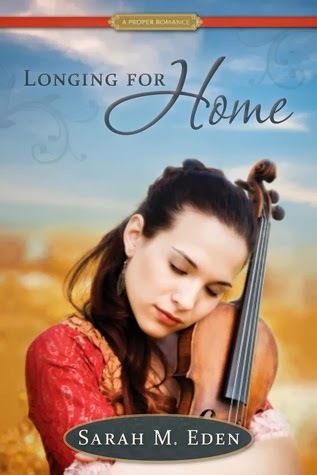 The happiness and relief was so immense that Ruhi wanted to jump up, grab her mother, and do a little dance around the room like she had done on the day she had won her first ever trophy at school..."
"I found this to be a gentle romance read set in Los Angeles, California and India. Being that I grew up in the L.A. area, it was a treat to read about some of the sights mentioned. Things start off rocky with plenty of back-and-forth tugging of the heart and playful banter sprinkle these pages." "Worth reading – the storyline is both humorous and sentimental, and I cared about the characters and what would happen to them. Ruhi in particular experiences a lot of personal growth as she adapts both to a new culture and the unexpected limitations of her marriage. (I was rooting for them to work things out, but you’ll have to read the book for yourself to see if that’s what happens!)" I am a physician–and to many I may appear serious and solitary. But once people get to know me better, they often think that I am frank, down to earth, with quite a quirky sense of humor. And that is what I bring to my writing—read and you shall see. I was born in the dead center of India, but had the privilege of spending time both in the north and south. Therefore I have been able to sample and absorb to some extent the vastly diverse cultures and languages of both these regions (the very quality that imparts tremendous richness to our country’s heritage,) —a phenomenon perhaps not seen anywhere else in the world. After immigrating to the United States in my early twenties and spending several years in this country, whenever I travel back to my homeland now, I find that I appreciate my roots a lot more. Still there is so much to see and learn, that a lifetime won’t suffice. 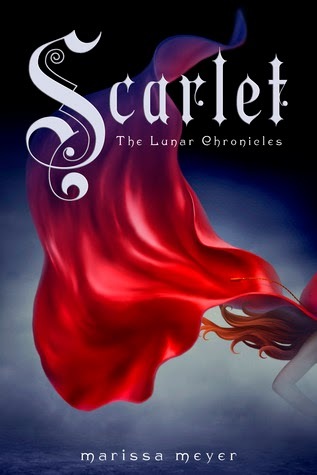 Scarlet (Lunar Chronicles #2) by Marissa Meyer - Review! I listened to this book on audio book and loved it. The narrator was awesome. I always have a "real" book going, an audio book going, and an e-book going. My audio books help me get through the horrible household chores :). Again, I have to give a HUGE shout out to Tressa @ Tressa's Wishful Endings for introducing me to this AWESOME series. This book was even better than the first one. I just loved it. We meet Scarlet and Wolf who are such great characters. Cinder meets Thorne as she tries to escape from prison and they become quite the duo. Their relationship cracked me up so many times. They were so sarcastic, I loved it. I love a good re-telling of stories and this combines Cinderella and Little Red Riding Hood...it's awesome. I am still trying to decide if I even like Prince Kai. I know most people probably like him, but I am still on the fence. He is between a rock and a hard place, but in my head if you "like" someone you do everything you can to keep a hold of them. Fight for them. He doesn't seem to be doing that. He is a great guy, I can tell. He wants the best for his people, but I also thinks he lets too many other people influence what and how he feels. I don't like that about him. I am hoping in the third installment he kicks it up and stands up for Cinder, and his people. Cinder and Scarlet are by far my favorite characters. They are both amazing, strong women, and I like that about them. Scarlet is willing to do anything to find her grandmother. When she met Wolf I was so happy. I totally was NOT expecting him to be what he was. That was kind of awesome. I love that you could tell there was a connection between Wolf and Scarlet right from the very beginning. Eiko in this book is the ships system, and I still love her. Her personality is fantastic. I still loathe Queen Levana. She is still a retched person. Which I believe is what the author is going for, so great job. I cannot wait for the third book! CANNOT WAIT! These books are so fantastic. They are fun, exciting, and just plain FABULOUS! I LOVE this series. Source: I purchased this book through Itunes. I am not affiliated with Itunes in anyway, and was not compensated for this review. These are my own PERSONAL thoughts on the book. 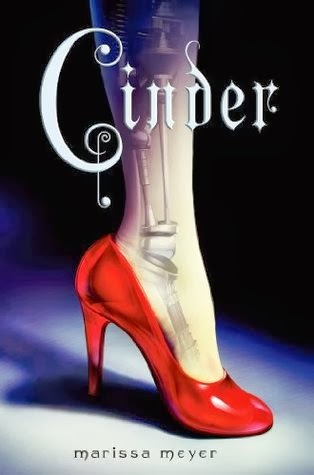 CINDER, my debut novel, is a futuristic re-envisioning of Cinderella in which Cinder is a cyborg mechanic. 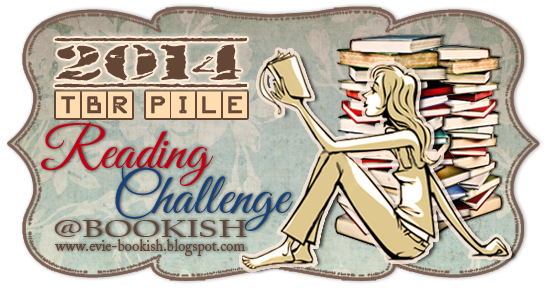 PODIUM FINISH Blog Tour and Review!!! Winter Thrills and Chills Tour!! !